No front closet? No problem. The Leaning Loop ($TBD) can be leaned against any wall. 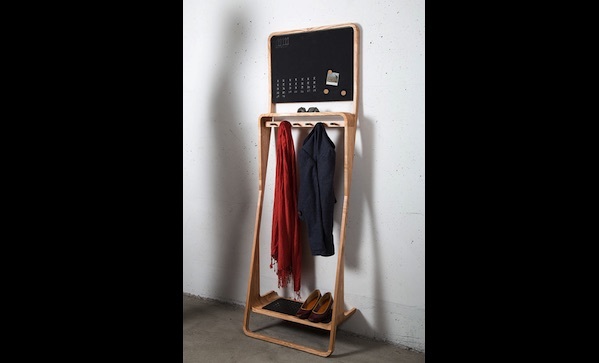 It has a fold-down shoe rack, some steel clothes hooks, and either a whiteboard or blackboard, which is magnetised. The whole thing can be made of ash, cherry, walnut, rift white oak, or maple. Oh, and aside from being convenient as hell, it’s made in Toronto.